In addition to the amazing experiences for Disney Parks around the world announced today at D23 Expo by Bob Chapek, Chairman of Walt Disney Parks & Resorts, a new immersive experience was just announced for Disney California Adventure park in California! In 2018, more of your favorite Pixar stories will come to Disney California Adventure park with the new Pixar Pier. 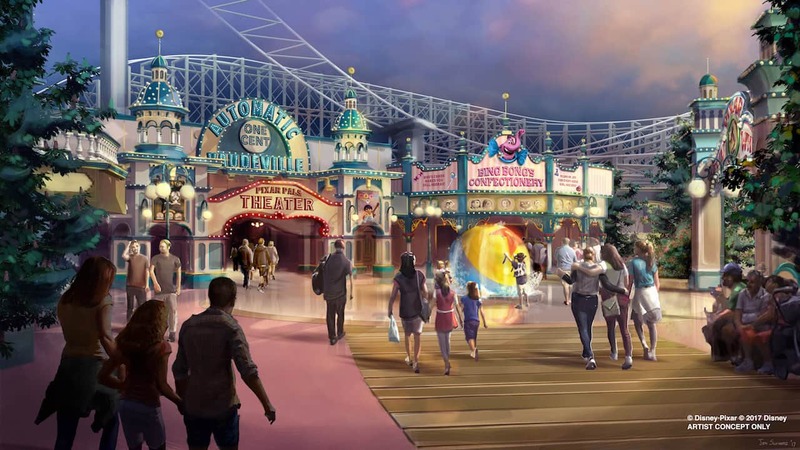 Pixar Pier will feature a brand-new look for the area now known as Paradise Pier, as some of your favorite characters come to life on this seaside waterfront. You will discover whimsical neighborhoods filled with your friends from “The Incredibles,” “Inside Out” and even more of your pals from “Toy Story.” Building upon the evolution of Disney California Adventure park that began in 2007, we are building more new worlds for you to step into and enjoy your favorite stories. This permanent addition to the park will open during a new limited-time celebration taking place throughout the Disneyland Resort in 2018 — Pixar Fest! Experience the magical worlds of Pixar in brand new ways as the entire resort comes alive with some of your favorite stories. The popular “Paint the Night” parade returns — this time, to Disney California Adventure park! 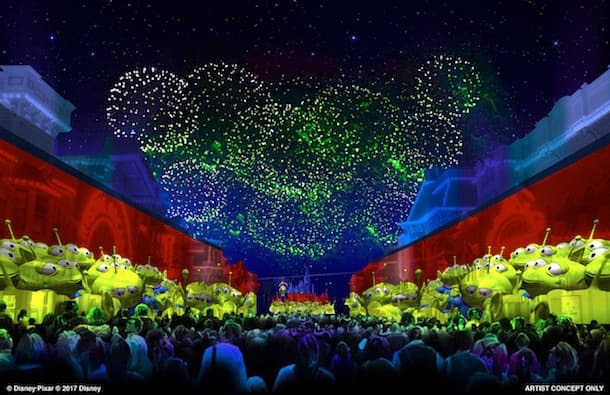 And if you’re as excited as I am by that news, then hold onto your jet packs, Space Rangers — because we’ve also learned that there may even be a new float joining this already amazing nighttime parade. We’ll have more details to share on Pixar Pier and Pixar Fest in the months to come, so keep your eye on the Disney Parks Blog! I’m not sure how I feel about this. I was extremely disappointed by The Tower of Terror, and I feel like slowly everything that was original about California Adventure is going to be diminished to fit their latest movies. For example, Silly Symphony Swings and the Sourdough Bread Factory. Back in the old days, not every ride fit a movie, which I thought was so special about the park. Would someone please explain why Pixar Play Parade is going to Disneyland side when California Adventure is going to feature a stronger Pixar presence? It seems that keeping PixarPlay in DCA would fit better. Also, as other have asked, what will happen to the Soundsational Parade ? My family is trying to plan a Disneyland Resort trip for Spring 2018. Does anyone know when DCA will be closed or blocked off for the Pixar Pier remodel? Does anyone actually know that Pixar Animations Studio IS IN California. It’s in the Bay Area!!! Emeryville, CA to be exact. They are not taking away the “California” away from it. I for one am excited to see something new. For those who are asking “why change it?” I think the answer lies in the simple fact that there is just not enough land area to expand the park while keeping everything that everybody enjoys. 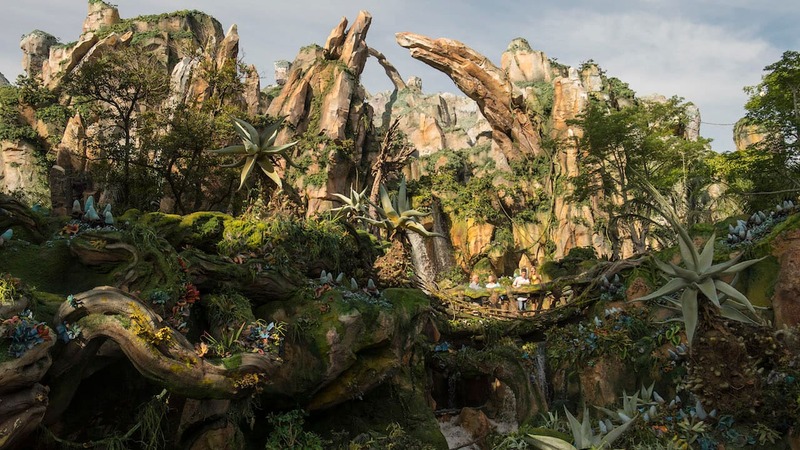 For instance, I still miss the Big Thunder Ranch BBQ, but at the same time looking forward to the new Star Wars Galaxy’s Edge! I like Main Street Electrical Parade better than Paint the Night — slapping a million lights on the Pixar floats. I imagine with the Pixar Parade going to DL, there will still be room for a night parade — hopefully MSEP. I wonder if the carnival games will go. Great for kids, not for adults. As an AP holder, I don’t mind change. I don’t want the parks to stay the same forever. I’m not really excited about this news. What will happen with the Soundsational Parade – the best Disney parade ever and a thousand times better than the Pixar Play Parade? When will Paint the Night return? I know they said 2018, any idea when in 2018, we have a trip planned in April for my daughter’s first birthday! Will we finally get some theming for California Screaming? Maybe a better queue experience as well? I hope so. I agree with Colin that otherwise I like the theming of Paradise Pier and I will miss Mickey on the Funwheel. I went to California Adventure for the first time in 2015 and I’m glad I did. I thought nearly every area was themed perfectly to California. Now much of the park will have nothing to do with California. YAAAAAAAAY Paint the Night! Is the Play Parade considered a nighttime parade? Does this mean the end of Soundsational?! I don’t understand why DCA feels the need to keep re-purposing areas and attractions which are already successful. The re-structured Paradise Pier from the 2010 park renovation is a beautiful “land” on par with New Orleans Square (high praise, and I mean it). Having just stayed at Paradise Pier Hotel earlier this week, the unifying immersive theming with the park just out our window and from the pool deck was one of my family’s favorite parts of our stay. While filling in the tents under Screamin’ with more thematically consistent Pixar is a great idea, completelt re-theming the area and taking the instantly iconic Mickey off the Fun Wheel not even a decade after he was put up is a mistake. Doesn’t this seem arbitrary and a little regressive? I am so excited about pixar pier and the parades at DCA! I hope the rides others have mentioned don’t have to go, like Goofys Sky School, little mermaid and King Tritons carousel but I trust you guys, cars land might just be the coolest area in any Disney park I’ve ever been in. I’m so excited to hear of the new characters to meet, my son will be so excited for new toy story characters and I hope we can meet Bing Bong!! Hi! I have a few questions. First off, according to that concept art for Pixar pier, is that Pixar ball going to be just like the water ball in front of space mountain? If so, awesome!!! Next, I love love love the idea of Paint the Night coming back, and in California adventure,cool, It’s a longer route, but how is the truck going to make that turn in front of Carthay Cirlce?! And what about the trolley wires?? Won’t those get in the way?? And lastly, and most importantly, just thinking ahead here, it seems Disney is pushing away from the whole “California” part of California adventure, Hollywood tower of terror gone, now the Paridise Pier to be replaced by Pixar, is it safe to assume California Adventure may get a name change in the next few years? I’m definitely excited for the Pixar Fest, but what’s even the point of permanently changing Paradise Pier? Isn’t this park supposed to be CALIFORNIA Adventure? It seems like whenever Disney makes a change that furthers the park away from its name, Disney announces a new change. Why must you change an entire land? Buena Vista Street, which I truly love, was a great addition because it added new features and extended the California theme in a bare, but artistic, area. The changing of Paradise Pier will change every beloved ride, shop, and restaurant. There are already so many Pixar movie themed lands and rides, so why must you change such a beloved, iconic, and BIG classic? I mean, what’s going to happen to Goofy’s Sky School (which was JUST redone)? Ariel’s Adventure? California Screamin’? The Mickey Wheel? When is Paradise Pier gonna close for this renovation? Anytime soon? Also when does Paint the Night Return? So PTN goes to DCA…what happens to the MSEP???? PAINT THE NIGHT PARADE RETURNS!!!!!!! Thank you thank you thank you!!! Having it in DCA will definitely be amazing!!! I’m just asking, what will happen to California Screaming? and King Triton’s? And Sky School? And Little Mermaid? I’m definitely excited to liven up the pier with new attractions, but I’m devastated about the loss of the iconic Mickey face on the Fun Wheel. In the concept art, the ferris wheel has clearly been re-themed as the Pixar Fun Wheel featuring Luxo Jr. This is amazing!!! How soon will we know dates and be able to book a trip in 2018 for Pixar Fest? Very excited to hear that Paint the Night will return but is there any chance it’ll run at Disneyland on select nights during this year’s holiday season? (Like last year?) Also, will the Pixar Play parade be updated to include newer Pixar films? Thanks for the updates.